300 Innventia staff, supported by 2 information specialists and 1 library assistant manage a library with a unique collection of more than 13,000 books, dissertations, reports and conference proceedings, as well as over 500 journal titles. RISE Research Institutes of Sweden is fully owned by the Swedish Government. Through international collaboration programs with academia, industry and the public sector, they enable a competitive business environment and contribute to a sustainable society. RISE’s 2,200 employees support and promote all manner of innovative processes, with around 100 testbeds and demonstration facilities for advancing future-proof products, technologies and services. RISE is supported by six libraries, the largest of which is within the RISE Innventia Group, part of the RISE Bioeconomy division, which comprises the units Biorefinery and Energy, Papermaking and Packaging and Biobased Materials. There are 300 RISE Innventia staff, supported by 2 information specialists and 1 library assistant. The library is a unique information resource for those with an interest in subjects such as pulp, paper, graphic media, packaging or biorefining, offering a wide range of information services to customers worldwide, and—because of Presto—fast, efficient access to their content via the internet. Access to online databases and other electronic resources, and use of the library’s digitized collections is strategically important for RISE Innventia’s sponsoring partners and public customers. The library has a unique collection of more than 13,000 books, dissertations, reports and conference proceedings, as well as over 500 journal titles. Research conducted by RISE Innventia is privately sponsored; these sponsoring “partners” finance the research reports and typically commit to support the research for three years. RISE Innventia owns the raw material, and only organizations that fund the research have access during the paid program. Therefore, powerful security and permissions management are critical, even at the individual field or record level, to ensure that only specific information gets to specific users. The library subscribes to a number of commercially available databases, e.g., those provided by universities, and when they upgraded their system, leveraging the efficiency and comprehensiveness of federated search—including drawing from third party resources—was a strategic goal. Paperbase includes information on all aspects of the pulp and paper industries, “…from raw materials to end-products, including recycling, biorefinery, bioenergy and other environmental issues, company news, market information and statistics.” Organizations may subscribe to the entire database, or to one or more alerts, which are emailed monthly. RISE Innventia’s Distance Library services, offered to subscribers, include literature and information searches, photocopies and document delivery, access to databases covering specific topics, and interlibrary loans—with services available via email, online or telephone. 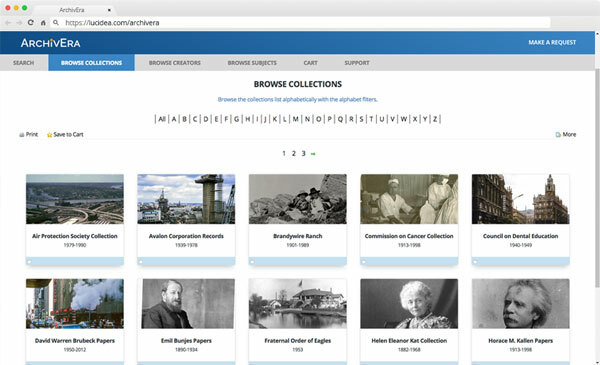 The librarians’ ability to quickly and thoroughly respond to research and other requests is substantially enhanced by Presto; per Mr. Magnusson, “When we did the first federated search we were very happy!” Alerting and saved search capabilities also increase efficiency. With Presto, the RISE Innventia library staff easily created separate home pages for their different sponsoring partners, branded with the partner organization logo, and fully customized. There are separate feeds on these home pages, including their sponsored research reports (with real time updating), Paperbase topics, and news about the pulp and paper industry—so users are always fully informed and up to date. The library doesn’t only support sponsoring partners with Presto: RISE Innventia’s own researchers also benefit from having access to all the information they need, whether print or digital, through a single search, quickly getting an overview of everything available on specific topics and sub-sectors. To help spur creativity, RISE Innventia’s Innovation Department has developed an “idea management system”; the library can use Presto’s integration functionality to link research reports directly there, supporting researchers in a non-traditional way. Praising the system’s value for money, robust functionality, customization options and flexibility, Ms. Burman and Mr. Magnusson are very positive about being able to deliver powerful and tailored services unique within the pulp and paper sector, with just three library staff—enabled by Presto.